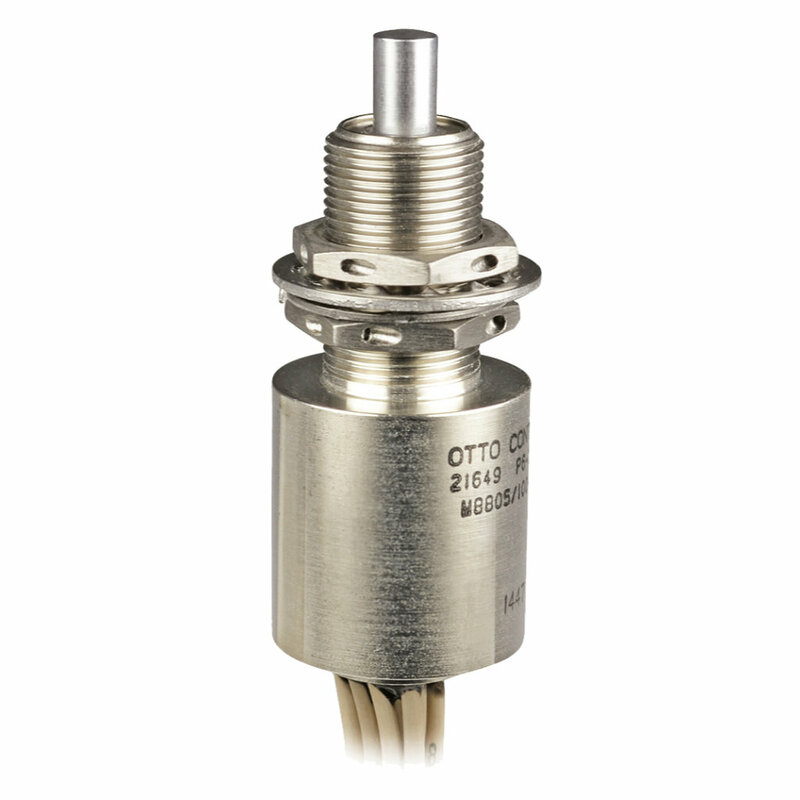 The P6 series of limit switches from OTTO are double or 4 pole switches with double throw operation and momentary action. Designed for the military market the P6 series are sealed against immersion and corrosive environments through sealing with an O-ring at the plunger and a glass-to-metal header at the base providing true environment free sealing complying with MIL-PRF-8805/39, /40, /43, /100 and /104. The P6 series of limit switches from OTTO are double or 4 pole switches with double throw operation and momentary action. Designed for the military market the P6 series are sealed against immersion and corrosive environments through sealing with an O-ring at the plunger and a glass-to-metal header at the base providing true environment free sealing complying with MIL-PRF-8805/39, /40, /43, /100 and /104. Fully ruggedised with a one-piece nickel plated stainless steel or brass housing with pre-wired terminals and grounded to reduce the effects of EMI. The P6 series is electrically rated to 7A (resistive) at 28VDC with an electrical life of 25,000 cycles with an operating force between 6lbs and 12lbs and a choice of roller or pin style plunger.